The 2016 Twilight Zone Silver Coin from South Georgia and South Sandwich Islands is the second in a three coin series featuring the Oceanic Zones. The oceanic zone is split into three parts. The epipelagic area, which is also referred to as the Daylight zone and obtains adequate sunshine to sustain photosynthesis; the mesopelagic zone, which is likewise referred to as the Twilight zone and only has a scarce quantity of light; the bathypelagic, or Midnight zone that makes up 90 % of the sea and no light penetrates its boundaries. The array of animals amongst the three areas varies as well as, particularly in the lower zones, quite uncommon. 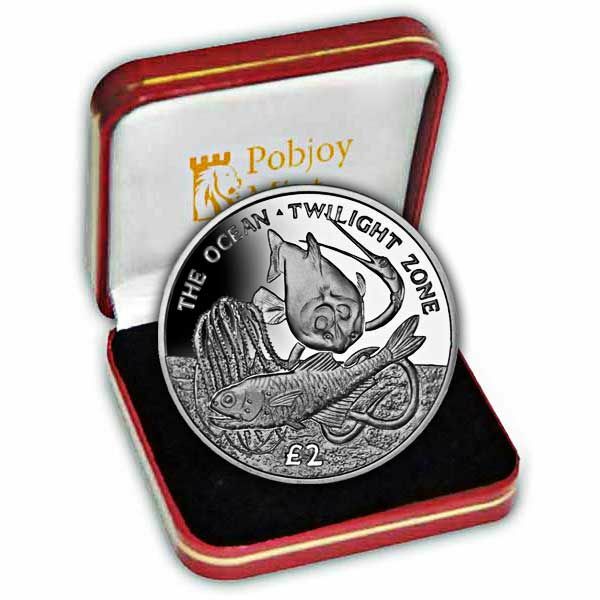 The design on the coin showcasing the Twilight Zone includes an image of a Barreleye fish, a Comb Jelly, a Lantern fish and a Snipe Eel. Each coin is produced to the highest quality and struck four times to produce a stunning “proof” finish. 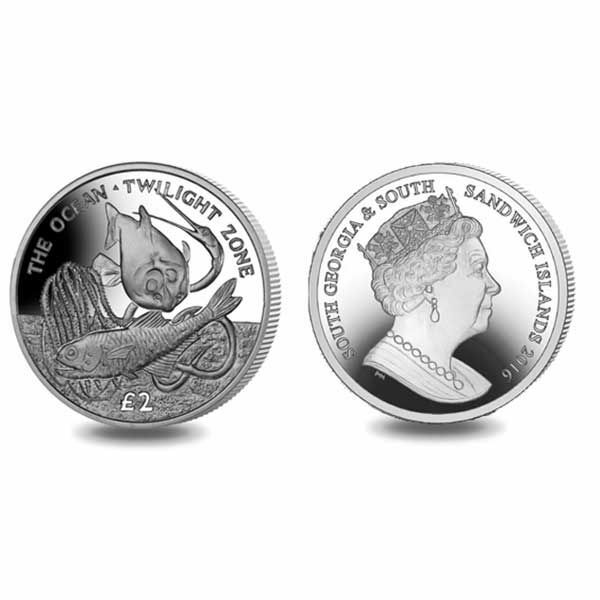 The obverse of each coin carries an effigy of Her Majesty Queen Elizabeth II exclusively by Pobjoy Mint.